I would love to come for Thursday Knit Night, but unfortunately, I live in Sousthwest Florida. My name is Anna, I live in Montreal, I would like to wade in company, I was once in your beautiful, wonderful shop but … I’m too shy to join you ..
No need to be shy, we are all very friendly and welcoming! 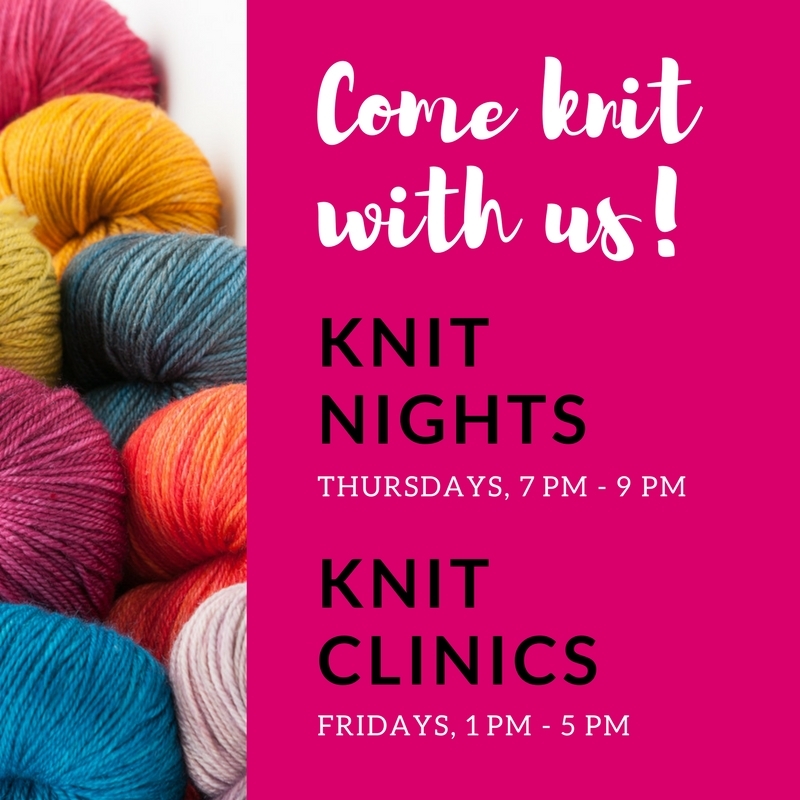 😉 Please do come by and knit with us! I love your podcasts…I was so excited when I saw the lasted one ..the last part of january..you were missed…you both are delightful..
Keep up the good work..would love to visit your store some time..